*Technically speaking, 9V-SWT has not finished its refit yet, but it’s not in service. 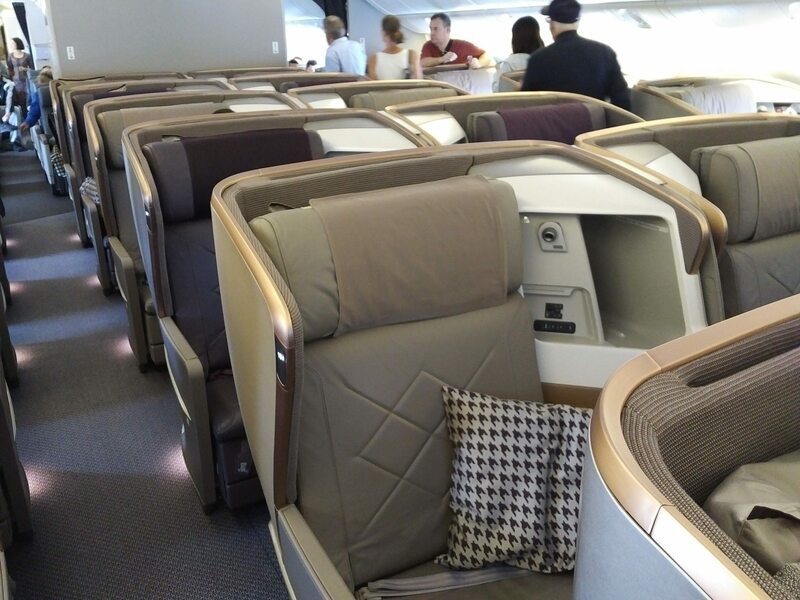 So if you’re flying a B777-300ER you’re guaranteed to have the 2013 First/Business class products. 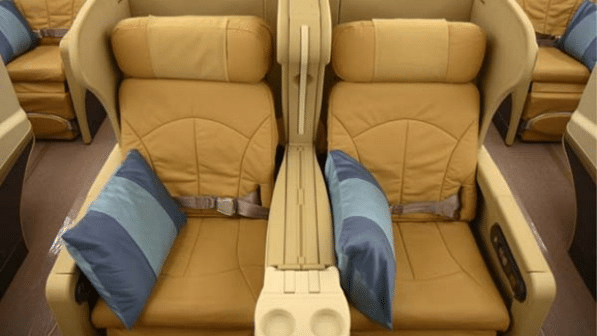 Consider Singapore to Seoul, a 6.5 hour flight. 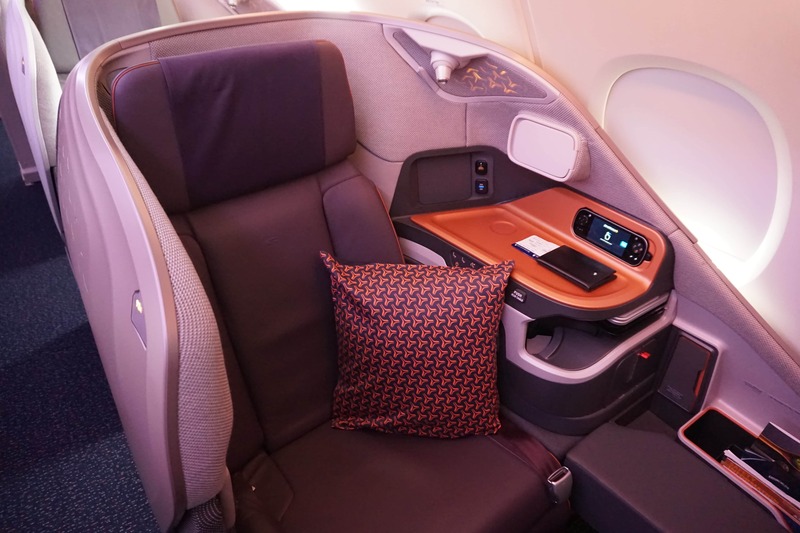 It costs the same number of miles to redeem a business class seat on SQ612 and SQ608. The difference? 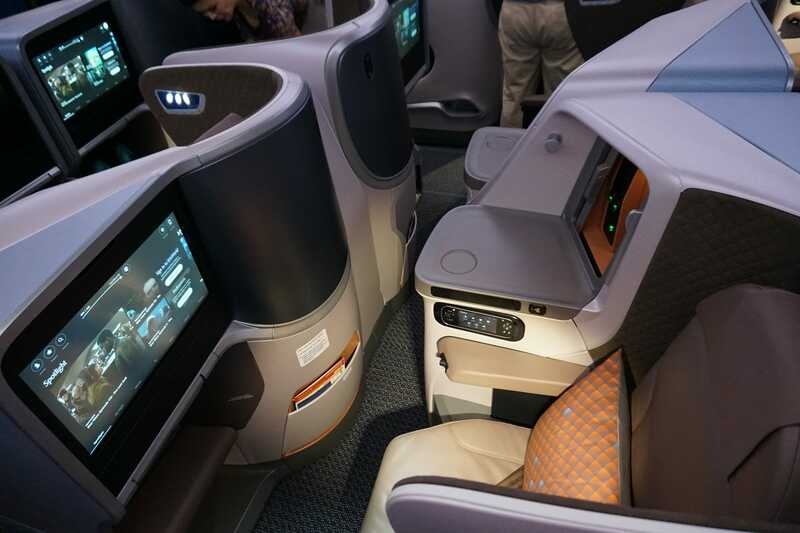 SQ612 is a B777-300ER with SQ’s 2013 Business Class seat that goes full flat and is 1-2-1 configured for direct aisle access. SQ 608 is an A330-300. 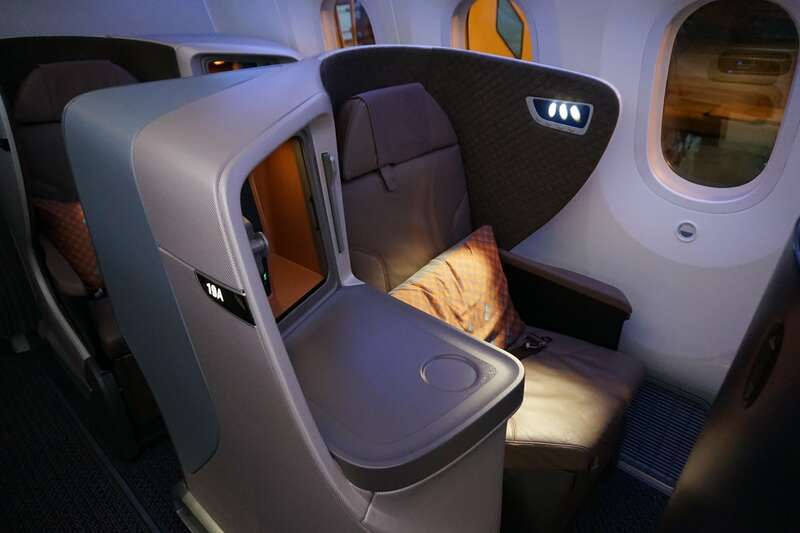 Its 2009 Regional Business Class seats only go angled flat, and the cabin is 2-2-2 configured with no direct aisle access for some seats. 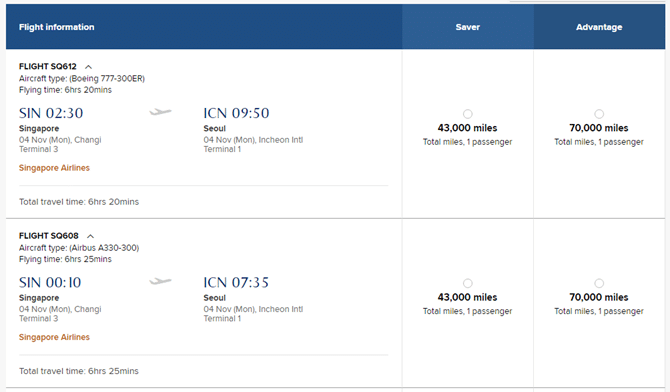 So I imagine if you were a newbie and assumed all the seats from SIN-ICN would be the same, you’d be pretty steamed for paying the same number of miles for an inferior product. 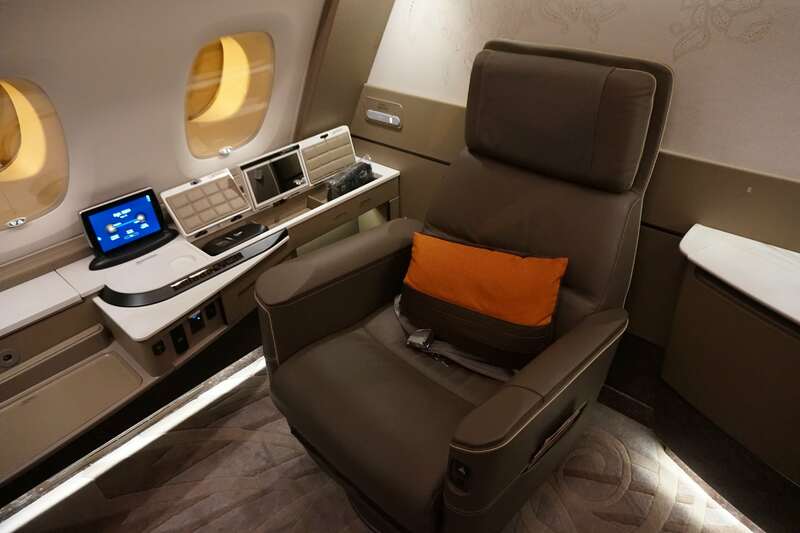 SQ’s 2007 suites product may be over 10 years old by now, but this still sets the standard for luxury. 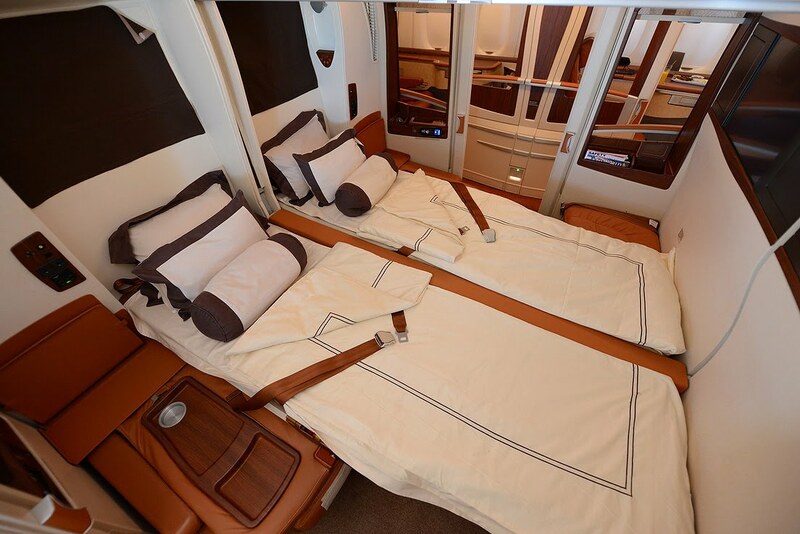 With 12 suites in a cabin, 4 of which can convert into double beds, this is the product honeymoon dreams are made of. 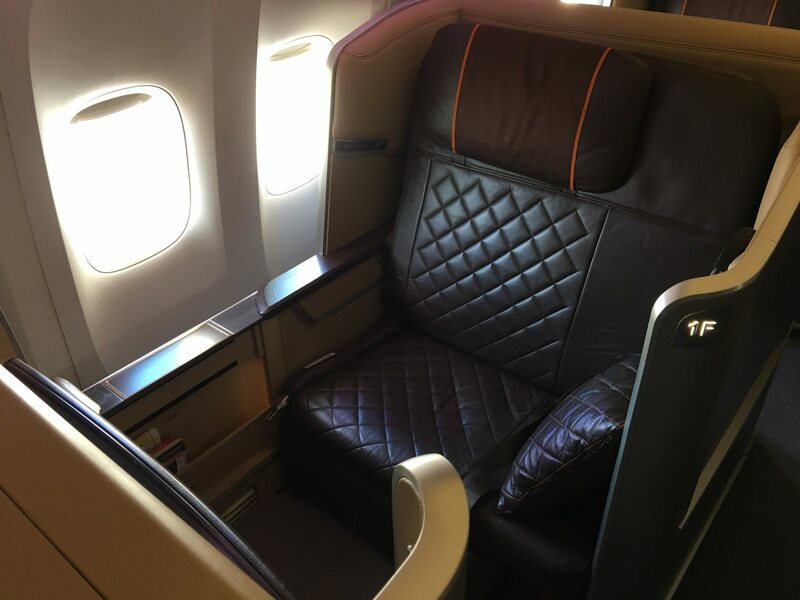 Yes, there’s a new suites product in town, but if you end up flying this one I wouldn’t consider it “second class suites” by any means. Note that the hard divider in the middle makes this more like two single beds pushed together than a true single bed. You can read reviews of the SQ Suites product here, here, here and here. Ah, the new suites. 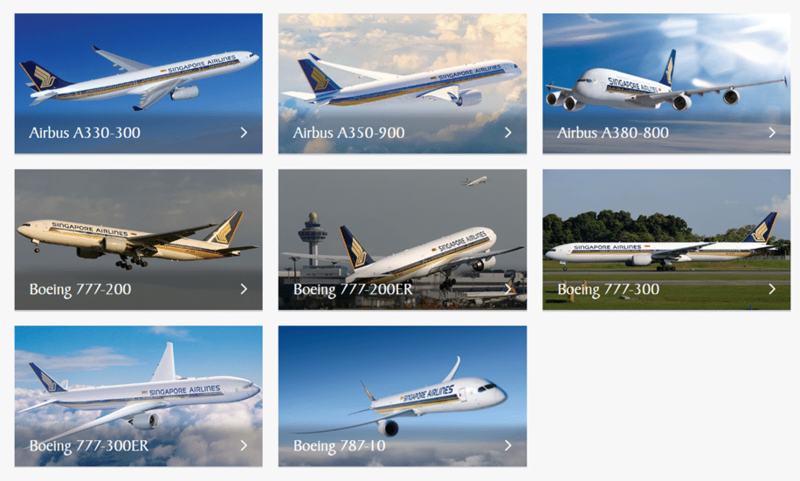 With only 6 in the new A380s in a single aisle configuration (versus 12 in a 1-2-1 layout in the 2007 version), these are guaranteed to offer an unprecedented amount of personal space. 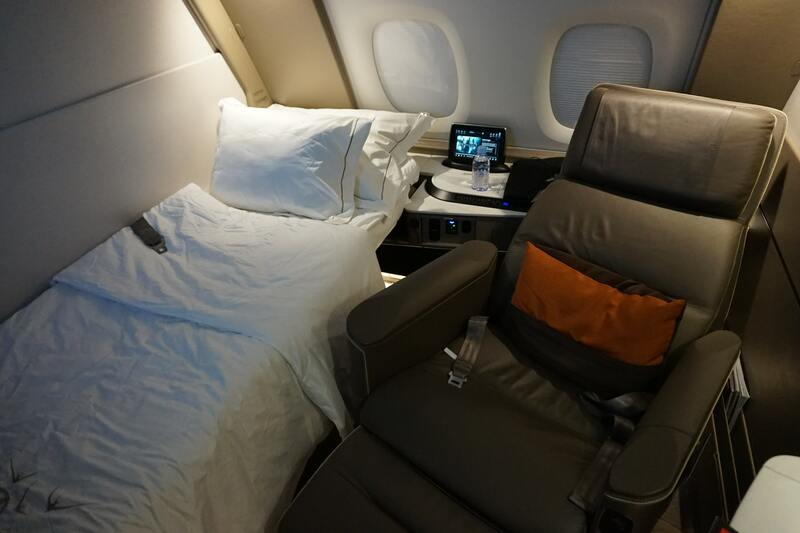 Unlike the old suites, you have a separate seat and bed which can both be deployed at the same time (the 2007 version had a bed that folded out from the wall, but that necessitated collapsing the seat). 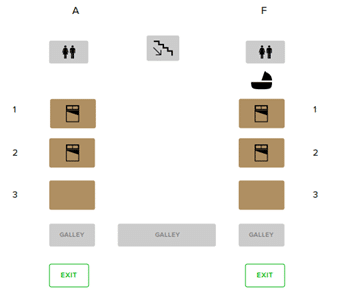 You’ll also have a much more spacious bathroom and, if you’re traveling with a companion, the suites in rows 1 and 2 can be converted into a double room. Yes, a double room, with a double bed. 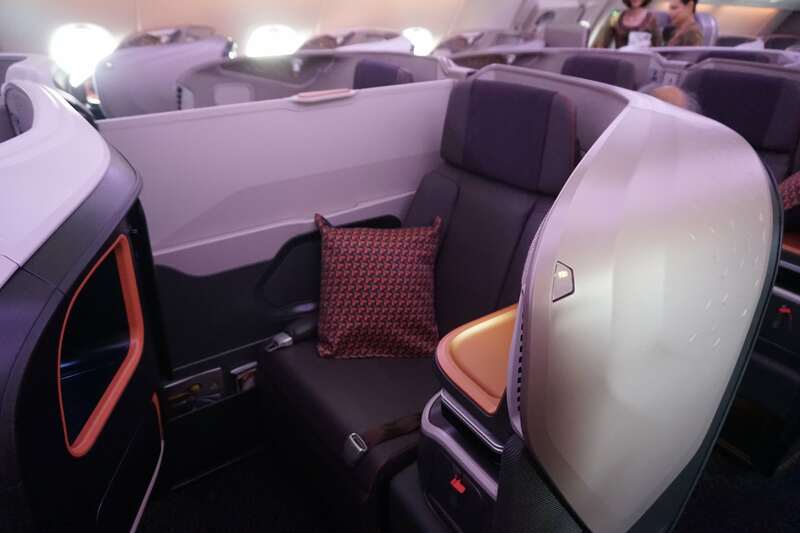 You can read a review of the new SQ suites here. 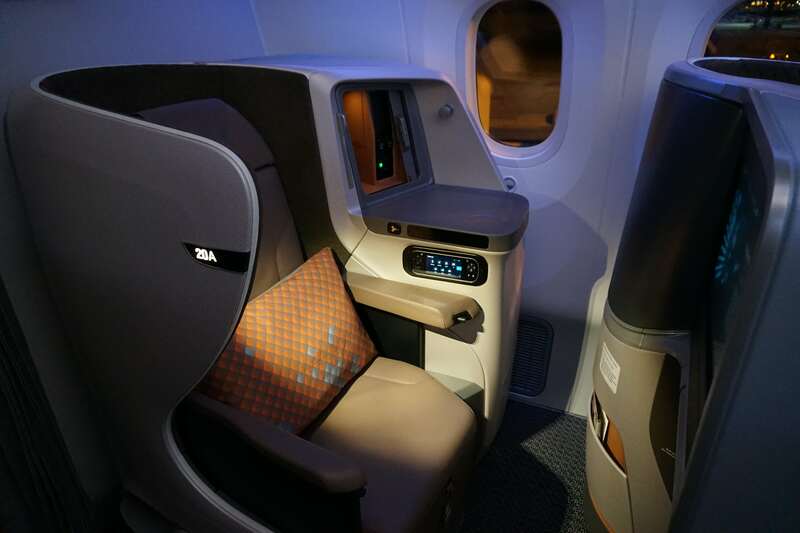 The good news is this seat will eventually disappear from the fleet once the new B787-10s come in. 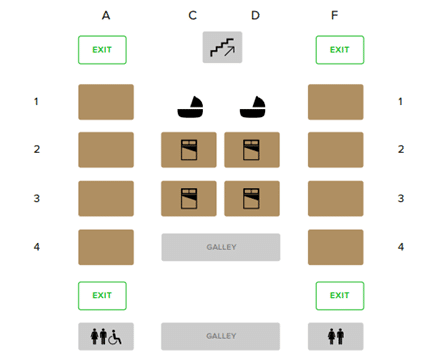 You can read a review of the regional business class seat here and here. Previous Entry Have your bonus Hilton points from the AMEX Membership Rewards transfer promo posted yet?